Microsoft has paid at least $100 million to acquire calendar app maker Sunrise that creates calendars for both mobile and desktop users. While the cost is high, we suppose it makes sense for Microsoft to buy a finished product rather than creating one from scratch -- and this one enables users to use calendars from Google, iCloud, Exchange and third-party apps, according to TechCrunch. The apps work on both iOS, Android, Mac and PCs ith its ross-platform usage as the draw for the popular app. Rumors indicate that Microsoft will make the apps "standalone products," TechCrunch reported, while using the new technology to better Microsoft products. Microsoft bought Acompli for $200 million two months ago, to beef up its Outlook Android and iOS apps, so the theory makes sense. 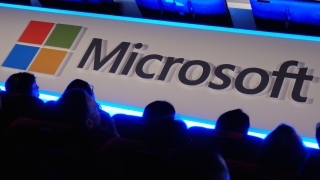 Microsoft declined to comment on the story but it seems that the software behemoth wants to be more mobile. Buying technology is a quicker way to innovate, so it's a good idea for Microsoft's bloated and unwieldy research and development.